Way to go Milo!!! I just read your comments today. I was going to say was that it comes with time. 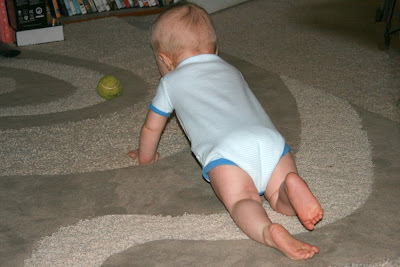 I think Andrew crawled more because he was chasing after his brother and sister. 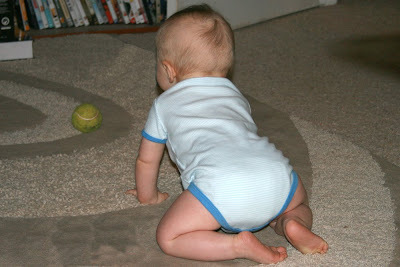 Remember Anthony did not crawl that fast. 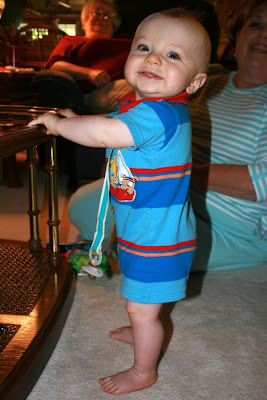 It is all down hill from here, get ready to baby proof the house!! !